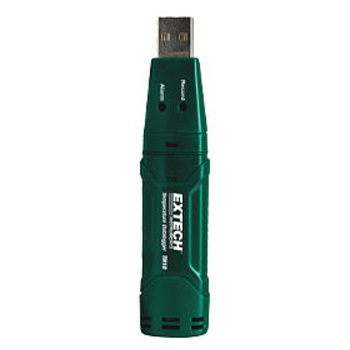 Extech TH10- Temperature USB Data Logger – Infinity HVAC Spares & Tools Pvt. Ltd.
Datalogs up to 32,000 temperature readings with a user programmable sample rate. Selectable data sampling rate: 2s, 5s, 10s, 30s, 1m, 5m, 10m, 30m, 1hr, 2hr, 3hr, 6hr, 12hr, 24hr. Status Indication via Red/Yellow LED and Green LED. Long battery life (approx. 1 year). Complete with 3.6V Lithium battery, protective USB cap, mounting bracket, and Windows® compatible analysis software. A Quality product from Extech, USA.